On 27th September 2018, Finns Party introduced a new educational policy in a press meeting named Discussion Hour (”Työmiehen Tuumaustunti”). Policy was introduced by party chair Mr. Jussi Halla-aho and political planner Mr. Sakari Puisto. Here’s an English transcript of the Discussion Hour. Discussion Hour recording, in Finnish. Youtube, 1 h 27 min. Good morning – welcome to the media representatives here and the viewers and listeners around the country on both the internet and the radio station ’Lakes of Finland’ (’Järviradio’). The Finns Party government had their policy meeting this summer. 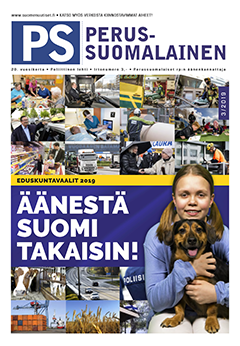 The first program decided on – with the Finnish Parliamentary elections coming this spring – was the Finns Party’s education policy. We have prepared a booklet of some 10 pages describing this policy which is now available to everyone – and I’ll introduce some of it to you this morning. Education policy has taken somewhat of a back seat to other national problems which have appeared to be more acute – those of foreign policy and economic affairs. This apparent lower position of interest is unfortunate because the average person’s working life is undergoing rapid changes and education is the key to the future in so many ways. At the same time these changes are occurring, the foundation of education in many cases has been significantly affected – large sections of young people have been marginalized – and the actual success of education is declining in too many areas. 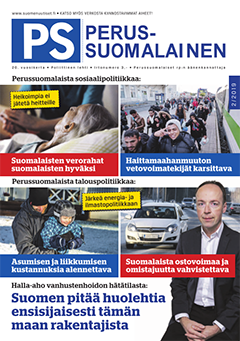 While changes have been happening in such a dynamic fashion – and more are coming, Finland must not lose the basic values that have served it well over the years. Training requires solutions that have – and will have – a definite and sustainable impact on Finland’s well-being. The Finns Party has believed, and continues to believe, that the first place of responsibility for children’s primary education is the home and good parenting. This responsibility cannot be passed off to the schools and its teachers. Nevertheless, schools are extremely important and are run by or authorized by the government. – attention must be paid to the size of classes as smaller groups may be more assured of good classroom discipline as well as better possibilities for actually getting educational results. schools. The Finns Party position is – as it has been before – that students, teachers and staff should be evacuated to other places from those affected buildings. Adequate financial resources for this should be in the government’s budget. The Finns Party is a sponsor of a seminar on this subject in the next days. More attention must be paid to the building of self-confidence in the minds of young people – this is very important at this stage of their lives. They must get encouragement and training for the skills which they are interested in and have shown talent for – and they should be able to ask for – and get – help when needed. The education system seems to have lost its ability to perform these functions. It’s also known that students learn more – and more quickly – when students actually ’do’ things. The Finns Party’s has been proposing for some time now that the Swedish language be chosen and taught on a voluntary basis. Such a situation would free up time and resources for the study and teaching of other languages. The Finns Party supports the idea of there being an hour each day devoted to physical exercise of one type or another. This is not to be an hour taken from studies and teaching but with the flexibility of using ’break’ times, etc. It could be time in nearby woods and other open space. This would be excellent for present health concerns as well as creating good habits for later life. Effort must also be made to further skills in handling economic questions that they come across in their jobs. Additional guidance should also be given to students who are in the decision-stage regarding their choice of a later occupation as well as any further education. Education on an ’open basis’ – utilizing the internet – should definitely be furthered but Finland must be careful not to make digitization become a goal in and of itself – rather it should be considered as a tool for learning. Digitization should not just have tons of Euros – even tens of millions – thrown at it without some definition of visions and goals. The Finns Party would like to do what it can to preserve a comprehensive net of local schools. Local schools will help to maintain and promote sustainable development, provide closer contact with nature, and give the opportunity for individual teaching in a communal atmosphere in a dynamic regional environment. In small towns and villages – where possible and appropriate – there could be ’0-2’ schools – offering kindergarten and the first two grades. Such a possibility should increase the pleasantness of the school experience as well as increasing the safety of the small children. Teachers should be able to manage and teach these young ages in combined classrooms where such ’integration’ would be suitable and required. utilizing its own traditions that had been working well. Grade scores started to be put aside, school discipline decreased, students started teaching students, etc. There has been a definite increase in the social exclusion of young men according to studies from, for example, the OECD. Basic skills have not been learned in the primary schools – it is known that the vocational schools do not give enough training in the classroom. Making the situation even more difficult is the recent immigration from the refugee crisis. These young people in that group are having even more troubles – and there is the additional difficulty of the lack of respect for female staff in the schools. A definite vicious circle is in place and it must be broken as quickly as possible. – and otherwise assist in their integration into a positive role in society. people should be given the choice of school or work. Public resources can then be used more wisely – whether it is for extended academic education or additional vocational training. We also support a program of encouraging children and youth to have at least one hobby – and an affordable one! At the same time, there should be increased assistance and backing for general physical training and sports. The present term of the Finnish government has seen changes in the vocational education program. The Finns Party would like to retain much of this policy and its principles but believes the budget cuts have often been too drastic. If one examines the cuts for academic universities, it is seen that those cuts have been much smaller than for other learning institutions. The Finns Party believes some vocational programs must be actually expanded – for example, vocational classroom work should be increased. The level of skill and knowledge requirements must be maintained – and a harmonization of competence standards developed. Finland must plan these programs for sustainability over the long term – risks should not be taken which would disrupt the existence and/or development of these programs. Enough resources must be available for workplaces that partner with the vocational training – the apprenticeship programs have been very valuable and should be maintained and developed. The financial allocation for these programs and its planning should be well-thought out so that there is minimum disturbance if economic conditions change due to a cyclical downturn. The need for improvement is especially noted in the health care field where competence standards are extremely critical. ’Continued education’ is, of course, vital for a worker to keep up-to-date with the latest knowledge in their field. They must also continuously improve their own skills and capability in their own area of responsibility. The new technical possibilities for ’open learning’ and digitization can be extremely beneficial with these issues. In Finland, the academic-oriented education level is called ’lukio’ Students are usually about 16-19 years old when their lukio stage begins ( ’lukio’ is a three year course). Traditionally, it has been the portal for advancing to a university – either one of the academic ones or one of the universities of applied sciences. These universities use a standard examination based on the content of subjects taught in the lukio. (It is possible to take such exams without actually attending a lukio as the examination can be certified as to its results). It is also possible to go on from a lukio to vocational training and/or to begin working. One can also take part-time courses and achieve additional certification in a chosen vocational field. The alternative for lukio is to attend a vocational training school or to begin regular employment (at the age of 16). Further education and certification is, of course, possible later. In Finland, the popularity of ’lukio’ has been reported to be decreasing and we would like to see that trend reversed. The Finns Party believes that more resources could be devoted to these lukio’s. While the number of physical locations should be maintained – there could be more use of the internet and digital services. available and guidance given. The entire lukio experience should be brought forward as a life-enriching period in a young person’s development years. – and facilitation of continued training of staff. The Finns Party is on the same policy line as other Finnish political parties on these matters but we do differ on saying that the two-day examination for ’mother language’ proficiency must be kept as well as maintaining other student examination requirements. In addition, there should be no limitless possibility for re-doing exams to get better results. The Finns Party believes that the credibility and value of these exams will be severely depreciated if present standards are lowered. The Finnish system for ’Universities of Applied Sciences’ has been successful, overall (these institutions are also called ’Polytechnics’ in many countries). Programs for research and development – with particular attention to innovation – are being focused on more and more. Possibilities are offered for further studies on a work-oriented basis and training is also offered with respect to re-training for other occupations. The impact of these universities on employment and regional development is important – and amounts of funding should be considered in this regard. – Particular attention must be paid to increasing the skills and competence of staff personnel of firms. – There should be proper registration and certification processes available. This is particularly significant for those in health services and as well as those operating small firms. – These universities should be managed with issues decided on a Finnish national basis – not with respect to the European Union. – The offering of ’teacher training’ outside Finland – as an exported ’product’ – should be encouraged – particularly with attention to Finland’s ’development aid’ projects. – The difference between these universities of applied sciences and academic universities should be preserved – they each have their own goals. Nevertheless, increased co-operation should be fostered and advanced where appropriate. Finland’s traditional universities must continue to function as one of the recognized pillars of a modern civilization. – Basic research should continue to be done and there must be a stable foundation of funding – assuring resources for the future, as well. – The overlapping and duplication of projects should be eliminated. Rather, synergy should be encouraged. – While university autonomy is to be maintained, a particular university specializing and developing proficiency in certain areas should not be discouraged – but some degree of co-ordination and rationalization among the universities would be beneficial. – Regional issues should be taken into account when relevant. – Ideological standpoints need to be removed. – Bottlenecks resulting from conflicts between commercial and academic interests should be cleared away. – There must be recognition for competence in scientific and technical challenges – looking especially at areas where innovation is concerned. – Finnish excellence at the university level is known – but an injection of dynamism and enthusiasm is needed. – Universities are not supposed to be driven by commercial interests – but there can be appropriate co-operation. This would be significant in the area of innovation. – The university system must also take steps to avoid any nepotism in the areas of personnel selection and project financing – and also to eliminate unnecessary costs and adverse consequences of bureaucracy. – Efforts should be made to energize alumni of Finnish universities – with attention to a mentor-network, contact possibilities in the ’workplace world’ – as well as possible outside funding aid. – Students from outside the European Union/EFTA countries now have to pay tuition for their studies. These charges must be set to cover the actual expenditures made by the Finnish government. The Finns Party believes there could be a lot more co-operation and inter-action between these traditional universities and the universities of applied sciences – the so-called ’polytechnics.’ Unfortunately there is still too much conflict that comes to the surface when the Government budgets are dispersed – everyone wants to know why they didn’t get as much as the other people, etc. We can hope for a better future on this issue – and perhaps the idea and act of ’project co-operation’ will help. The Finns Party intends to openly discuss these issues in the run-up to the Finnish Parliamentary elections. Finland has been very fortunate in that – over many years – there are many kinds of opportunities for ’adult education.’ These have been very welcome resources – some one million people take advantage each year of these opportunities. Additionally Finland has an excellent system of libraries with varied learning possibilities – as well as being the meeting place for a number of communal organizations and occasions. There is certainly much possibility for co-operation among the formal institutions even at the present time. There are still no concrete plans as to what would be entailed – but we should think it would – in some aspects – offer help with a person’s occupation. Of course, support for a person’s free-time is also valuable – for example, people can learn new hobby skills or languages. One thing we know is that the people with lower levels of education do not often find themselves inspired to make these efforts in ’new’ learning. That is something to overcome – and the Finns Party thinks that having different levels of courses might help. The planning of education in Finland needs to be given more attention. There are many areas which are out of balance. For example, the number of young people interested in certain areas is not sufficient to meet the needs of the country – on the other hand, there are study areas where there is a clear surplus of students and it results in an over-supply and also a distortion in the quality criteria. These practices cause a variety of problematic decisions. For example, immigrants are choosing study areas such as nursing – using stereotypes as ’guides.’ In actual fact, that can result in unsuitable choices. There also seems to be some movement in the idea ’learning because there is something to be learned.’ This concept has seemed to be a good background for the ’training business’ of some people doing ’integration’ work with immigrants. I would have some questions about the usefulness of these financial support resources. We have also seen some numbers regarding emigration of highly educated people FROM Finland and immigration of similarly educated people TO Finland. There are many more leaving than coming. That’s not the problem – as international exchange is desirable on the whole. But the problem occurs when we see that the immigration numbers also show a high number of less educated people. This means the responsibility of education falls on Finland and the result will be fewer resources for educating native Finns. This fact is especially troubling when we know that the coming of more digitization and artificial intelligence, robots, etc. means that the educational requirements for Finland are only going to grow.